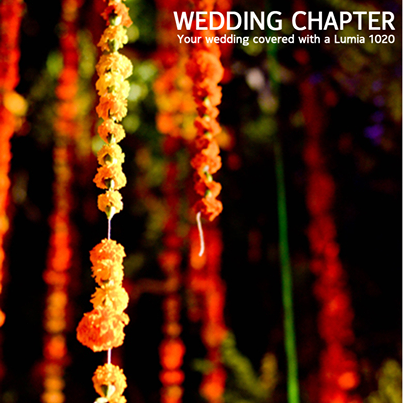 Lumia 1020 Gets your wedding covered free of cost! Nokia Pakistan has announced a contest like no other. As the wedding season approaches, Nokia is giving its fans the chance of a lifetime, to eternalize the special moments of their wedding day with Nokia Lumia 1020. Nokia Lumia Wedding Chapter is a unique way to show the true power of a 41-megapixel camera in capturing those smiles, glances and laughter which make wedding memories blossom forever.